While only 43% of internet users in the Middle East and North Africa have shopped online, according to research by OneCard, Jordanian site Mallna is working to increase that number, by making shopping as easy as being on Facebook. 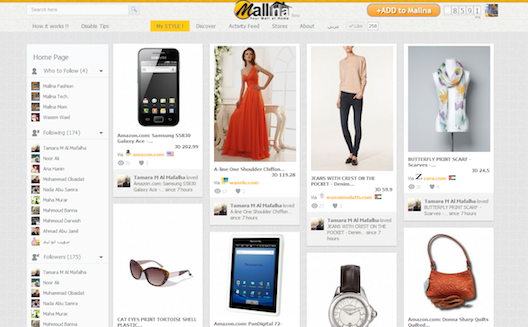 Founder Abedul-Azez Kasaji describes Mallna to me in four words: a social commerce discovery platform. "It's Amazon meets Facebook," he says. At Mallna, you can share items that you like, or introduce a new online store you have just discovered, or even befriend people with similar taste. You don't need to send your friend a blurry picture from your favorite store's fitting room and wait for their opinion. And if you can't bring something to the party, you can still search for items listed by others and review them. Everything on Mallna is personalized based on an analysis of your interests and preferences on Facebook, as well as your gender, age and interests. For example, if you like a certain item that is listed under a pre-defined category, similar items will start to show up on your homepage. Similarly, if you don’t like a certain item or product, the chance of similar items appearing on your homepage will decrease. The business of Liking and Favoriting items on Mallna is very similar to Pinterest, except that if I add an awesome vintage dress from Khazanti.com to Pinterest, it’s less likely that someone will think of buying it for my next birthday! Products and items are not only posted by people; Mallna makes sure that your favorite items are also aggregated from all available online stores to make their recommendations accurate. Similar to recently-launched Wamli, it also offers a gamification ranking feature, like Foursquare. The more you interact within a certain category or a named online store, the more points you gain and the higher your rank becomes in that category. You can also earn point for posting items, being followed, and receiving Likes, and points earn you discounts. Other shopping features provided allow you to compare prices, details and reviews of items and declare your most desired items under gift lists for your birthday on private, shared, or public lists. 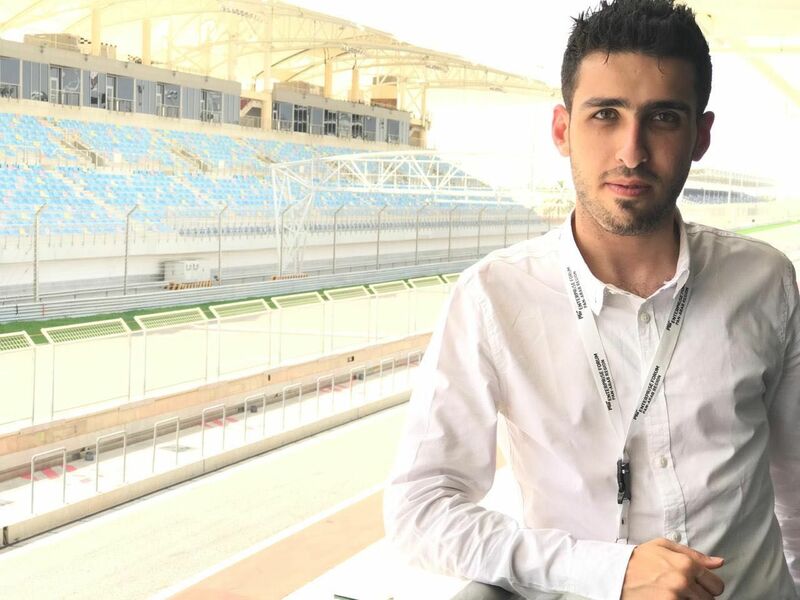 Since Mallna is still in beta testing, Kasaji and his team are continuously looking into how to improve the website, using various metrics to determine where people click and how much time they spend on each page. Thus far, it’s slowly attracting a fan base, accruing 300 users in November. When it comes to making money, Mallna is looking at both sides of the equation. “We’re a double-sided market, as we are building our userbase and making deals with online retailers,” Says Kasaji. But it’s a bit of a chicken-or-the-egg issue; Mallna first focusing on growing their user base, as only then they can talk to companies with confidence. Other possible monetization methods are targeted ads and direct sales where users can buy items directly from Mallna. Investment through angel funding is something the team is looking into right now, hoping to close a deal by end of year. 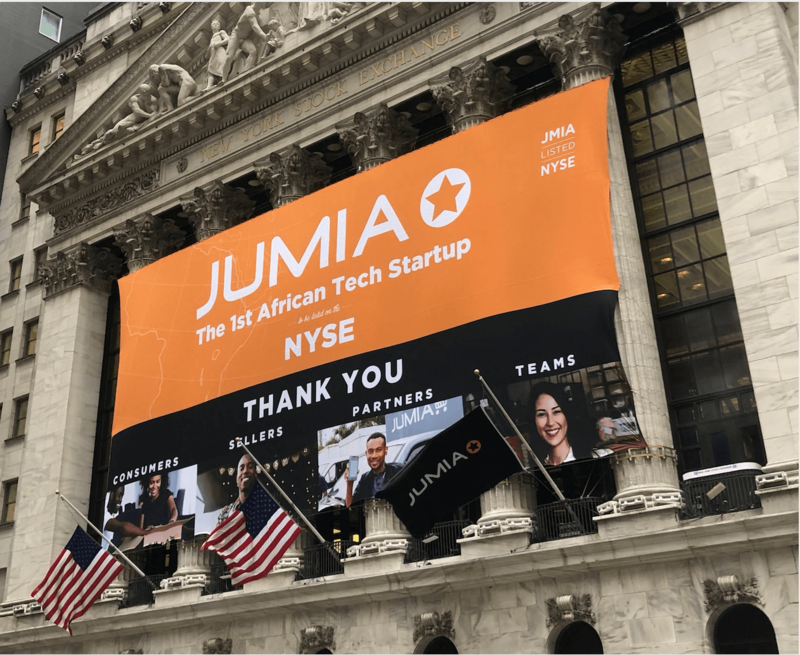 “The reason we’re looking for an investor is that we need to scale fast as a first mover in the market,” says Kasaji. While their goals are extremely ambitious, Mallna has made some local strides, earning an Honorable Mention in the Global Innovation Through Science and Technology (GIST) competition to which 350 people applied and 30 made it to the final pitching competition at the Global Entrepreneurship Summit 2012 in Dubai. Talking about the future, Kasaji says they’re looking forward to having an “add to Mallna” button on every e-commerce website, again just like the “pin it” button for Chrome from Pinterest. Yet their biggest challenge will be adding value to shoppers after networking and bookmarking.